The Pierre Area Chamber of Commerce is organized as an advocate for local and regional individuals, businesses and organizations. Visit their site at www.pierre.org for community information, sites, attractions and events. The City of Pierre owns the electric and water utilities. Visit ci.pierre.sd.us for utility rates, zoning ordinances and a host of other related sites. 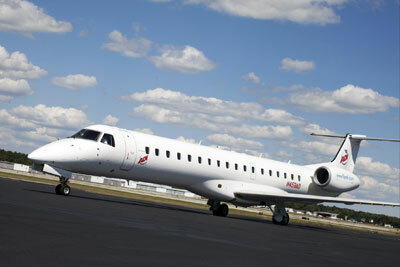 Pierre’s Regional Airport, offers daily flights to Minneapolis and Denver. Check here (www.pierreairport.com) for schedules and services. The State of South Dakota is best for business. Leading the charge is the Governor’s Office of Economic Development. Go to www.sdreadytowork.com for business startup or relocation information, incentives, labor facts, county statistics, state business cost comparisons and much more. To research a career opportunity with the State of South Dakota or in the Pierre area as listed through the Career Center, check out the Department of Labor site at www.sdjobs.org. To search the Pierre area, Pierre is in Hughes County. Neighboring counties within a reasonable commute to Pierre include Stanley, Sully, Hyde, Jones and Lyman. Pierre’s educational system consistently wins Blue Ribbon awards in Expansion Management’s Education Quotient ranking. Visit the award-winning district at www.pierre.k12.sd.us, or post-secondary degrees and training opportunities at Capital University Center, www.cucpierre.com. The Central South Dakota Enhancement District, www.csded.org, provides technical assistance in securing funds for infrastructure needs and business opportunities. CSDED specializes in capacity-building, planning, research, grants and strategic initiatives in the six-county area.